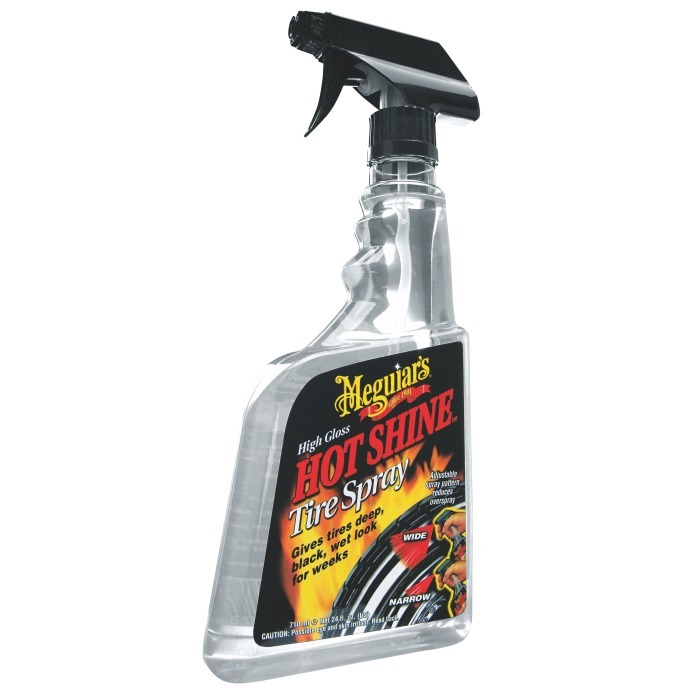 The Hot Gloss Spray Tire Gloss by Meguiar´s® is suited to get your tires shining with a wet look. Its formulation features highly water-resistant polymers and antiozonant technology which keeps the tire black for weeks, preventing cracks, wearing and premature aging. Its adjustable spray breadth nozzle allows for quick and easy product dispensing as per tire width and reduces application losses.